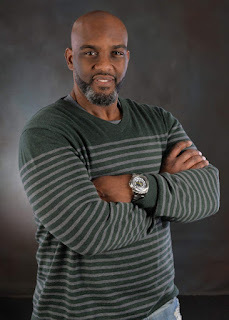 It wasn’t only network level marketing that changed the life of author, certified fitness trainer, and motivational speaker Marlowe Whitlow, but more so his determination, persistence, perseverance and drive to live a healthy life. Weighing nearly 500 lbs, the strong-minded Whitlow came to realize that living for his family and loved ones was a priority after years and years of trying to lose weight to get fit. Whitlow is proof that an individual can overcome obstacles to follow their dreams and goals to not only to be an inspiration to himself but furthermore to his peers. 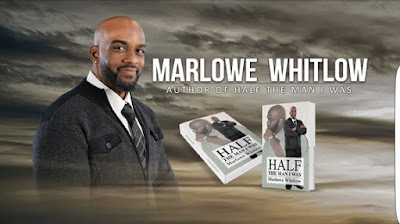 Consciousness Magazine had the opportunity to interview Marlowe Whitlow regarding his weight loss journey, his new book Half The Man I Was, and how he beat the odds of being a statistic of the streets and the drug game to becoming ultimately successful. Here is what the living prodigy has to share with the readers. Aaron Robinson: About a year ago, you said you were going to write a book about your life regarding how you lost so much weight and now here we are with the physical copy. What type of gratification or accomplishment is that for you? Marlowe Whitlow: It is a wonderful accomplishment! I was actually working on it for two years – putting it off and on by doing different things and jobs, and not really having the time. Now actually having a physical copy, when I got the first book proof, I pretty much cried. It’s just a wonderful moment to actually see my dream come to a reality. Tocarra Eldridge: For those individuals who are struggling with weight loss and having a challenge sticking to their new lifestyle or regimen, what advice would you give them to follow thru with their goals? Marlowe: No matter what is going on, no matter what other struggles you are going through, you need to continue on. People fall off, but it’s natural. You have to learn to just keep going on. You just can’t fall and say “I messed up now I might as well quit!” People quit too early. You can’t get to the goal if you quit. I’m still trying to work on where I’m trying to get to. I stayed at nearly 240 pounds for the last two years. So, just keep on and keep moving no matter what. Tocarra: Do you have a cardinal rule of nutrition that you follow or live by? Marlowe: Yes. The cardinal rule is meal replacement. That’s one of the things I do to offset some of the extra calories that I take in. Meal replacement has been a part of my life for 3 years now. I was with a company before in the past. Now the company that I’m with now, I’m actually a sponsored athlete. I really didn’t do any sports or anything; because of my 270 pound weight loss, I guess it’s a sport within itself. Tocarra: What would you say is the most important factor in your weight loss? Would you consider it to be a change in mindset, eating habits, exercise, a combination or something else? Marlowe: It’s a combination. Mindset is very important. I never get too far gone if I find myself falling off. Literally, if I get on the scale and I see an extra ten pounds, I’m kicking it back in gear. I’m so into it; it’s like an obsession for me [to exercise]. I’m obsessed with staying healthy. Let’s just be real, if someone lost 270 pounds, if they gained that back, you had to really get off of your game or your mind really had to be going through to get up to 270 pounds. [I can tell if you gained] maybe 20 or 30 pounds. If I gain up to 100 pounds that would be ridiculous after all that I’ve been through. And the way I feel right now and the things that I can do, I’m just happy where I’m at. Aaron: What would you say to those people who are trying to lose weight and trying to stay positive, however have a challenge doing so? Marlowe: You have to remove the negative people and entities in your life. Negative people will drag you down. And even when you do whatever you do, if you allow what they say about you stop you from moving forward – I can’t say that you’re just as bad as them, but at the same time, it makes for a bad situation if someone is dragging you down and you stop what you are doing. When you take a look in the mirror, those people don’t feel confident about themselves, that’s why they are trying to bring you down. Tocarra: How did you manage to integrate your healthy lifestyle and alter your eating patterns while being amongst peers who may not be making changes such as yourself? Marlowe: I just feel good about what I’ve done. I can’t allow other mindsets to control the way I think. I make more positive choices. You have to lead by example. If you don’t lead by example, you can’t expect someone else to follow. I’ve been around plenty of people who eat what they want to eat. A lot of people are like, “well I’m eating this just for my cheat day or cheat meal”. It’s your body, and my body is my body. I just decide to make healthy choices for me because that’s what I want to do. If they don’t make that decision, well, then that’s on them. Some people say, “I don’t want to be around him because he does this right and does this right.” I’m not judging you, you do what you want to do and I’m still going to do what I want to do. I’m not going to stop it. Tocarra: You are an advocate of healthy eating, as you just spoke about. Many people complain about how expensive organic foods are. What advice would you give these individuals to help change their mindset and realize good health doesn’t have a price? Marlowe: Well, if you don’t eat right, the ultimate price is a box. And your family has to put you in that box. And you can no longer earn an income or have any money. So, it doesn’t matter if don’t decide to do right because the cost of it is death. If you can prevent death from happening so soon, then why not do that. There are plenty of options out there right now. Aldi is probably the top one right now. You can really go get a lot of healthy and organic things from Aldi and the price is really low. When you’re eating more organic or what Big Mama use to grow in the backyard – that’s what organic means, what Big Mama use to grow without pesticides. You can reach those goals and do what you have to do. It’s not really as expensive as people may think it is. You can get a whole lot of fruit for a little bit of money. A 5 pound bag of rice would probably cost you a dollar. Rice is a carbohydrate, but you still have to learn how much to eat. There isn’t anything wrong with a potato. It doesn’t have anything that would harm you, it’s what we do to the potato…deep-fry it, dip it in ketchup or put sour cream, and cheddar and cheese on top of it. Aaron: Going back to your book Half The Man I Was, what would you like the readers to take away with them after reading? Marlowe: In general, I want them to look at some of the struggles that I went through. The first three chapters talks about the lifestyle that I’ve lived. Fast food is probably the first start of when things started to expand for me a little bit. As a cook in the chicken house, I first had to taste the food to make sure everything was safe for everybody. After it came out the grease I sampled it to make sure it was fine. The same things with the biscuits. One biscuit lead to a bigger biscuit, then a bigger biscuit. It got to a point where I was making huger biscuits and slapping them up with butter. It was ridiculous. To get from there and being in the drug game lead to a lot of after have eating, partying, late-night restaurants or whatever the case may be. Even still after being shot at and almost taking bullets to the head, having those experiences and still being able to do what I do now by helping others, I want them to realize, just because your life is bad now doesn’t meant it won’t get better! We live in a vicious cycle right now. People think once they get into trouble they can never have anything good for them. It is sad that society does hold you down. You just have to hold on long enough to get to a point where you want to be or do something better for somebody. Keep continuing to live a life of positive or live more positive from where you were in the past and people will notice what you are doing and reach out to you and help you. You just can’t say “Well, I went to jail, I can’t get no chance” or “I gotta keep selling drugs and keep being in the streets stealing, killing and all of that stuff.” You can’t believe that! God gives us opportunities to change our lives. And if we do it, then we will live a better life. Tocarra: We live in a fast paced society where many make excuses that they’re too busy to cook and therefore resort to fast food, processed foods, etc. What advice would you give to help those individuals in hopes to change their mindset to realize the importance of eating clean? Marlowe: Okay, very wrong assumption that they have, saying “it takes too long” or “they don’t have time to cook.” They have bags of vegetables called steamables. You pop it in the microwave for four of five minutes. They are really delicious. Those excuses that it takes a long time – I can put together a whole meal in probably 20 minutes. Even if you still don’t have those 20 minutes, try meal replacements – something that you can put in a shake or cup, or in a blender and shake it. As far as meat, if you have a little grill, throw it in the skillet with some olive oil. A thin cut piece of meat will take you all of 5 minutes to cook. Get you a thin piece of turkey, chicken or a thin piece of pork chop. Tocarra: What’s your take on meat? Marlowe: Well, I think the biggest part for me is to know how food is processed. They literally cut holes in cows and feed them things that they don’t eat and stuff corn inside of a cow while he’s alive so he will get bigger. I think the biggest thing for me is when I was diabetic because of high blood pressure – eating red meats is something that I never went back to fully doing. Maybe once in a while I will have some rib tips, but it’s not something I’m having all the time. I’m mostly a fish eater. Aaron: When you look back in the past of being unhealthy, what’s the single most important thing that you wish someone would have said to you in hopes of you making a healthy change? Marlowe: “Do you want to live?” “How long do you want to live?” “Do you have something to live for or someone to live for?” Most people have to have that why. The majority of them, like the classes I run at the gym, some of them would come in there and be like ‘I got a little boy now, I got a little girl now, I want to live, to be alive to be there for them,’ is probably the strongest encouragement. Find out what your why for living is. Some people don’t have kids but you want to be around for the people that need you. The only way to try to do that is to try to stay healthy. We’re dropping off regardless. For some people no reason at all, just because they eat a lot of grease and are eating unhealthy. That’s crazy! Tocarra: Any thoughts on supplements? Marlowe: I have tried supplements once in a while. It’s a different feel. I’ve been cleansing my body for a while now by taking supplements. Even with the company I’m with now, I try to take more of the products that are clean and purer. With the proteins choices that I have for the company as a sponsored athlete, I use the plant base protein or a natural supplement. I’m more conscious of everything that I put in my body being that I want to give my body a chance to heal from all the years that I was damaging it; that’s what I did for years, eating whatever. I can die tomorrow. Just because I lost the weight doesn’t mean something didn’t develop during those times, but I have a better chance of living now as oppose to when I was 500 pounds. Tocarra: Regarding supplements, what would you recommend to take daily? Marlowe: I would recommend a multivitamin product. It’s a foundation product of any weight loss journey. You can’t build the walls if you don’t lay down the foundation. The multivitamins give you all the nutrients that you need without the extra vitamins and calories. So you get vitamins and nutrients that we need from the multivitamins because we know our foods are full of MSG’s, GMO’s and so on. There and meal replacements that will give you something without all the extra processed stuff. I’m in a phase where I need to build some more muscle. In the beginning I did a lot of cardio. People sweat their butts off by doing cardio but they are losing muscle. Just don’t do cardio! If you do, you need to do it with some type of restriction; an incline or resistance training. If you are doing something like that, you need to be careful. You can have a combination of training, such as metabolic training which is a combination of weights and cardio together instead of doing one of the other. Aaron: Is there anything that you want to add before we conclude the interview? Marlowe: Truthfully, there are a lot of things that got left out in the book that are a little more detailed, such as stories I can tell about when I was in the drug game and when I was in the music industry. They would make for a good motion picture. I didn’t outline that as big as I did the things that are more positive with my life now. I would like for you to read the book. It’s a pretty easy read. Thank you for the interview!